One of my all-time favorite books by one of my favorite authors — Robert McCammon. 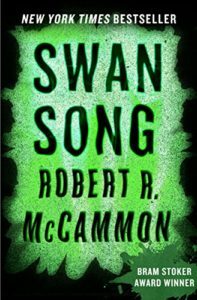 I’ve read Swan Song three times, plus listened to the audio book. There is no other book that I’ve read that many times. The eBook is currently on sale for 1.99 — I don’t know how long that will last, but if you like post-apocalypse stories, then I promise you’ll love this one . . . no matter what the price.